The March AMSAT-F Recontre Spatiale (Space Meeting) 2019 was not only a conference about amateur satellite communications, but a conference which took place over amateur satellite communications – using Lime Microsystems’ LimeSDR hardware. 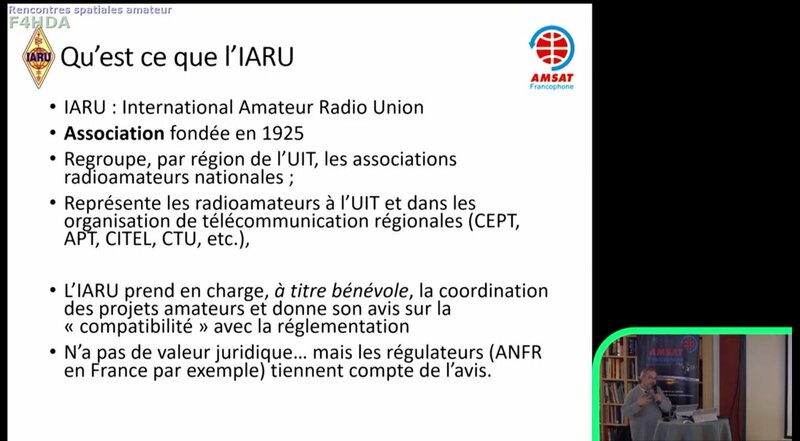 Taking place on the 9th and 10th of March 2019, the second AMSAT-F Recontre Radiomateur Spatiale saw 15 lectures and six short presentations on the topic of amateur satellite communications from a total of 20 contributors. While attendance in person was certainly recommended, for those a little further away there was another option: reception of a live transmission sent via the Es’hail-2 QO-100 satellite’s amateur transponder. Using this stack of open-source utilities, hardware, and the compact LimeSDR Mini, the AMSAT-F conference was able to transmit to the amateur transponder on the Es’hail-2 satellite – designated QO-100 – and send video and audio of the event across the world. Transmitting, however, is only half of the equation – and the LimeSDR family proved its worth on the receive side, too. 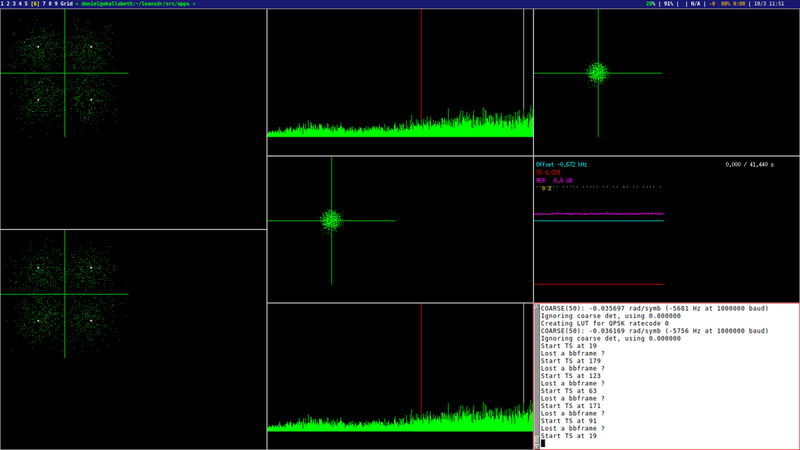 “I am quite happy with the LimeSDR, not only for this kind of works, but for most of my experiments involving SDRs,” adds Estévez.”The features I value the most are the large frequency coverage and large bandwidth, the two full-duplex coherent channels, the possibility of using an external reference, and of course the low price. 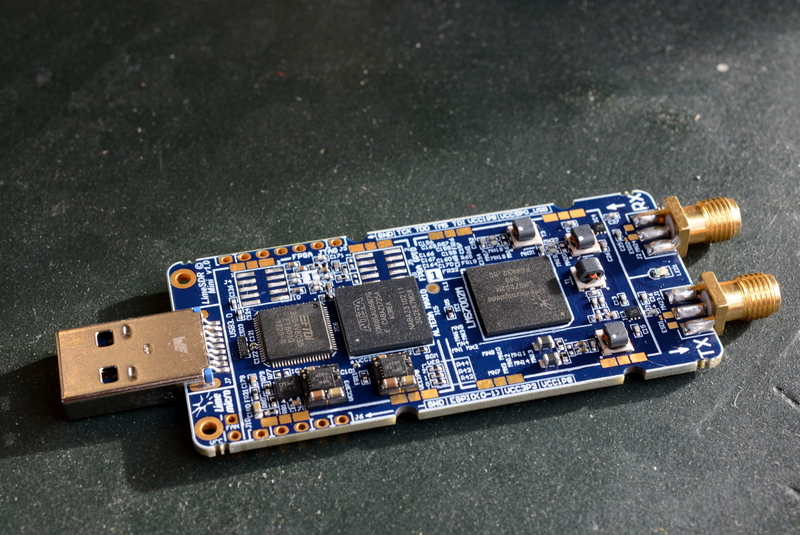 I also have a LimeSDR Mini which I am quite happy with as well. “I would encourage anyone to give this a try. If you already have a LimeSDR or a similar SDR supporting large bandwidths, you already have the most expensive piece of equipment. 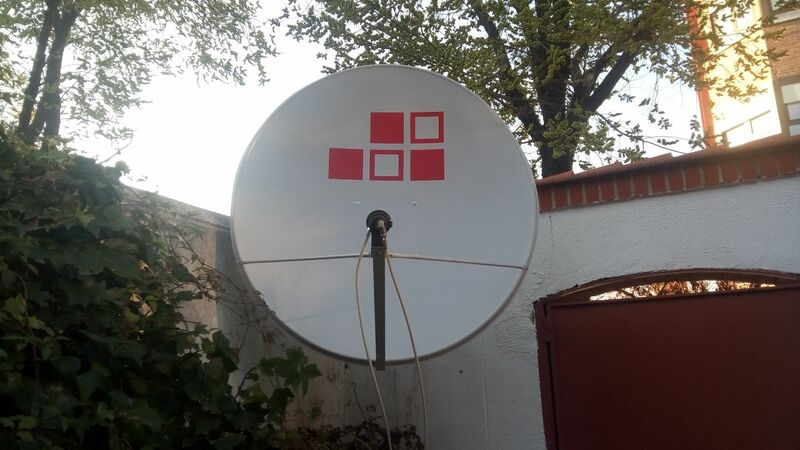 The rest is standard equipment for satellite TV and it is really inexpensive. Once you have the SDR and the satellite dish and LNB, the rest can be done in software (so far using leandvb, but the AMSAT-NA Phase 4 Ground project is also doing a lot of work with DVB-S2 support in GNU Radio, so I expect we will see amazing things from them in the future), so it is very easy to try out new things and to learn a lot (DVB-S2 is a complex and state-of-the-art technology).